Getting an advanced degree can create many opportunities. In fact, recent data from the Bureau of Labor Statistics and The Organisation for Economic Co-operation (PDF) illustrates how education pays in higher earnings and lower unemployment rates. Quantitative Reasoning: Measures problem-solving ability, focusing on basic concepts of arithmetic, algebra, geometry and data analysis. The GRE revised General Test is available at more than 850 test centers in more than 160 countries. In most regions of the world, the computer-delivered test is available on a continuous basis throughout the year. In Mainland China, Hong Kong, Taiwan and Korea, the computer-delivered test is available one to three times per month. In areas of the world where computer-delivered testing is not available, the paper-delivered test is available up to three times a year in October, November and February. 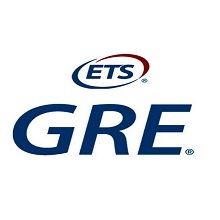 The GRE revised General Test is accepted at thousands of graduate and business schools as well as departments and divisions within these schools. View this list (PDF). Check out our newest test prep tools, including the Verbal Reasoning and Quantitative Reasoning Guides, the GRE® Success Starter video series and the on-the-go mobile app — all designed to help you do your best!